History’s most vicious precious metal raids – amidst the most PM-bullish fundamentals in memory have driven me to write essentially every day. And today is no different, given the incredible confluence of events – including the current, expanding silver shortage – that threaten to shake the global monetary order to its foundations. Perhaps, much sooner than most can imagine. Of course, I must start with the recent otherworldly market manipulation; as overt QE or not, it’s extent is unprecedented – as proven by the relentless intervention in stocks, bonds and PMs at exactly 10:00 AM EST when the Fed’s “permanent open market operations” are conducted, and global physical gold and silver trading conclude. Now that QE is “over,” such operations were purported to have terminated on October 27th. However, we have seen the same “dead ringer” algorithms in the “Dow Jones Propaganda Average” every day since; as well as “new Hail Mary trade” support of the 10-year Treasury yield; and of course, the same PM capping and attacking – via prototypical “Cartel Herald” algorithm – as always. To wit, TPTB’s assault on reality has leaped exponentially higher since the mid-October “liquidity vacuum,” which prompted the Fed to deploy “manipulation, jawboning, and prayer” to reverse markets’ downward trajectory ahead of the elections, the Swiss gold referendum, and countless other potentially “key events.” Incredibly, amidst some of the most horrific news flow and fundamentals, imaginable, TPTB have managed to goose U.S. stocks to their best 16-day run ever; right ahead of the mid-term elections; which, as it turns out, were a catastrophic failure for the incumbents. As for precious metals, the Cartel “pushed the envelope” so far, they have created the most massive physical demand surge of the past 15 years; in volume, exceeding even what occurred when they attacked PMs during the 2008 crisis. We wrote yesterday of how the U.S. Mint sold out of silver Wednesday, after having sold an incredible three million Silver Eagles in the first 2½ days of November; as well as the steepest backwardation – in gold and silver – since 2001; expanding drains of COMEX and GLD inventories; and record setting demand worldwide, as the mining industry sits on the cusp of an historic production collapse. And by the way, amidst all the hoopla of the Mint sell-out of silver, few have noticed that in the first four days of November a whopping 30,500 gold Eagles were sold as well, and 6,000 gold buffaloes. 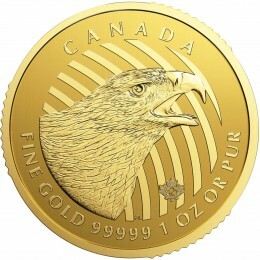 At these rates, November sales of gold Eagles and Buffaloes, respectively, project to 153,000 and 30,000 – compared to 446,000 and 160,000 for the first ten months of the year. Or, to complete the math, the gold Eagle sales pace started November at 3.5x the pace of the year’s first ten months and gold Buffaloes 2.0x. 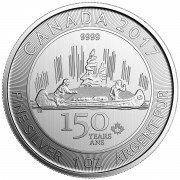 However, amidst this unprecedented bullish environment, PM suppression has increased exponentially – as proven by the fact that silver prices, after last night’s blatant paper raid, were at their low of $15/oz., nearly 4% below the level where, just 36 hours earlier, the Mint announced it sold out of silver! In fact, furthering what I wrote earlier this week, we last night saw a paper silver raid of epic proportions in the wee hours, nearly identical to what occurred in this week’s “Sunday Night Sentiment” attack – you know, the 72nd in the past 73 weeks. The blatancy of recent silver raids – caused by the fear that this “Achilles Heel of the Financial World” will destroy the Cartel, and by extension the status quo; is mind-boggling, making a mockery of fundamentals and creating volatile conditions that will inevitably yield the biggest short squeeze in history. And conversely, the largest stock crash ever; certainly in real terms, albeit “up in the air” whether it will nominally hyper-inflate, or crash. To wit, the “irrefutable PM manipulation statistics” we first wrote of last year, of how silver falls at least 1% intraday essentially every day and 2+% on more than half of all trading days; as opposed to the Dow, which has not been allowed to fall 3% in a day for three years! Whilst such maniacal control over “controllable” markets like stocks and paper PMs is occurring, the “three death trends” we wrote of earlier this week are literally exploding – with yesterday providing a perfect example, as oil prices plunged and the dollar surge against all global currencies accelerated – in some cases, at unprecedented rates, with the Russian Ruble falling an astonishing 4.3%, and the Brazilian Real 2.7%. And oh yeah, did I forget the Japanese Yen, which has plunged nearly 7% this week, as the “real Yen bomb” detonates? And regarding the ongoing, potentially cataclysmic plunge in oil prices – which we wrote of in last month’s “crashing oil prices portend unspeakable horrors,” how much more prescient could we have been – as the aforementioned three death trends, of collapsing oil prices and currencies, and expanding currency wars – are exactly what has transpired, per this article regarding the implosion of oil exporters’ currencies, and this one regarding Saudi Arabia’s commencement of an oil “price war” by cutting its North American export price – focused principally at the soon-to-collapse U.S. shale oil industry; and ultimately, the “petrodollar” itself. As for today’s “jobs” report, for the third straight month I nailed it right on the head. Yesterday, I predicted it would be “worse than expected” for both political purposes – to start the “new Republican Era” poorly – and because the Fed is terrified of the recent “massive” increase in the 10-year Treasury yield from 2.20% to 2.38%. Yes, I know they fear falling rates as much as rising rates; but on a day-to-day basis, their focus changes – as they desperately manipulate markets with the calmness of a chicken with its head cut off. Yes, they are that chaotic, as exemplified by the aforementioned “jawboning” by six Fed governors during last month’s stock plunge. By the way, how can the “unemployment rate” decline – from 5.9% in September to the aforementioned 5.8% in October – if the Labor Participation Rate ticked up 0.1%, and job creation was less than expected? Yep, via the same U.S. government accounting that yields a $500 billion deficit when the national debt increases by $1.1 trillion! And as for the perpetually ugly internals; as usual, the only new jobs created – aside from 137,000 phantom “birth/death” positions – were in the 55+ age category, as senior citizens take minimum wage jobs because they can’t afford retirement; and “waiters and bartenders,” which rocketed to a new all-time high – as the pace of higher-paying “professional business service” hiring plunged to the year’s lows, with manufacturing job creation non-existent. Better yet, the household report included a ridiculous 528,000 “seasonally-adjusted” job additions in the 16-24 age category. Yes, we’re to believe more than a half million high school and college-age Americans got “jobs” in September….as SCHOOL was starting! Anyhow, it’s now 11:10 AM EST, and TPTB must be horrified, as gold and silver have taken off anew. Remember, we are in a period of extreme industry tightness – particularly in silver, but gold as well. Thus, any sustained demand increase – as we are seeing at Miles Franklin – could cause prices and premiums to explode higher; and do so, by the way, ahead of the potentially Cartel-destroying Swiss gold referendum on November 30th. Or, for that matter, Sunday’s “non-binding” Catalonian secession vote. Andy, do you know if the Chinese able to or will replenish silver inventories on the Shanghai exchange once dry? Seems to me that things are being set up for an Eastern re-pricing when a default occurs. Hence, increase in OI comex silver. Secondly, do you know if swiss gold referendum will be via electronic voting? Or hard ballots have you heard anything regarding this matter? As to the Chinese, who knows? They will never tell us what they’re doing? As for Switzerland, I am decidedly NOT worried about election fraud – and to answer your question, I have no idea how they vote. No country is more dedicated to this type of voting. I really hope the swiss do the most obvious and logical thing & vote yes. Also I forgot to ask. What of this weekend’s Catalonia succession vote? If it’s a resounding yes, where does that leave the Spanish gov? Will they even honor it? Both votes could have tremendous ramifications, particularly the Swiss vote. As for the Catalonian vote this weekend, here’s all you need to know. If the Swiss vote yes and you beleive it would strengthen their currency it could have dire consequences for their economy. The surging Swiss franc was the reason they pegged to the euro in the first place! It was destroying their industry by making them non competitive, threatened job losses and companies were talking of moving overseas! You must think of ALL the consequences of such an action, just moving to a semi gold standard has negative impacts which could far out way any positives. It will be the best thing that ever happened to the Swiss economy. That is the brainwashing talking! Why I am even responding to you is beyond me. Frankly, I had to delete your last post as much to protect your ignorance as to protect the integrity of this website. However, no more, as the entire world can see your reiteration of TPTB’s propaganda for what it is. I suggest strongly you stop posting, as not only your peers in Australia, but the entire world sees you for the what you are. Great article Andy. I think all these shenanigans, especially halting the silver trading, proves that the forces are not always in their control. What we hope and pray, is that in some future court, that these parties be held accountable for their actions. That they face criminal penalties for their actions. Frankly, I don’t care if they are punished. What matters is that reality returns to financial markets, which it certainly will. They are decidedly NOT in control, even if they have the Dow and gold where they want them for now. And by your email address, I see your in Switzerland. Vote YES, and spread the word! Thanks again for the timely and valuable updates. Sure is a dire situation! Wonder if the stock market will now be allowed (I mean manipulated) to go down so the Republicans can be blamed? For those not all in with PM’s, they don’t realize the ONCE IN A LIFETIME opportunity they will miss. It won’t happen again in our lifetimes! Not worth the negatives of national collapse (with Obama in office) of the positives of sticking it to Repubs. 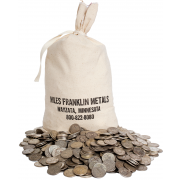 I was looking for silver coins prices yesterday and I couldn’t find anything at less than 20%+ premium. So the disconnect between paper and physical seems already started. 20% is actually pretty normal. However, unquestionably average premiums are expanding, as are delivery dates. I also do not care if they are punished by the courts. What I care about is bringing back honesty to our money supply and allowing the laws of supply and demand to return without intervention. We do not have time to punish them. We need to repair the system and minimize the hardships many are about to face if the have not prepared by buying some precious metals. Those that have stolen from us with get what is coming to them in time. Arrogance will always come back to haunt you eventually. Thanks so much. And remember Frank, I (and Bill H.) were writing of these things, for free, LONG before we joined Miles Franklin. In my case, seven years before. Keep it simple stupid. Also known as the KISS formula. I am a big believer of this strategy when trying to make a decision or trying to weed through the garbage set out by mainstream media. 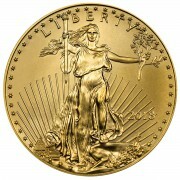 To own precious metals or to not….that is the question. Answer: I personally buy precious metals because history tells me they will buy me the same amount of something tomorrow as they do today. Does your fiat currency buy you today the same amount of something it did 40 years ago…I THINK NOT. Thanks again to the MF team. I follow many alternative media sites on this subject and many of them do a great job but this one is becoming my favourite site to follow. The opinions expressed are often supported with third party confirmations of similar opinions and or facts. You have earned my readership and trust. LOL, for a second I thought you were calling me stupid. Thanks for the kind words, I agree 100%. Andrew..Stupid is what I might say people are if they only follow the mainstream media to stay informed. Many decades ago a US based radio network had a regular commentary called. Paul Harvey…The Rest of the Story. You and the MF team are the new Paul Harvey..
Because you tell the rest of the story. Great research..great simple and easy to understand writings. No doubt the next 60 days will likely give you lots to write about. Keep up the good work and sleep well knowing that many appreciate the efforts that the MF team contribute to getting the Rest of the Story told.